Next week is National Eating Disorders Awareness Week! Februa ry 26 – March 3 is National Eating Disorders Awareness Week (NEDAWeek). Eating disorders affect all of us, men and women from all walks of life. According to a Global Market Institute Survey, four out of ten Americans have either suffered or known someone who has suffered from an eating disorder. That means it’s pretty likely that someone close to you has been touched by an eating disorder: a friend, classmate, co-worker, brother, sister, significant other. UNC Eating Disorders Program is hosting a FREE screening of “Miss Representation,” a documentary by Jennifer Siebel Newsom. Afterwards, there will be a Q andA with Frank Stasio, host of The State of Things on NPR; Dr. Cynthia Bulik, Distinguished Professor of Eating Disorders and author of The Woman in the Mirror: How to Stop Confusing What You Look Like With Who You Are; and Ms. Stephanie Crayton, Media Relations Manager for UNC Healthcare with a decade of broadcast experience. FREE frozen yogurt, compliments of TCBY, offered at the event!! This is a large dance competition hosted by Panhellenic Council. Come see these impressive dancers battle for a cause. Tickets are $10 and are on sale now at Memorial Hall. Funds raised benefit UNC Eating Disorders Program to provide treatment and support for those struggling with eating disorders, and promote awareness of the dangers of eating disorders in the Carolina community. The Mirror Event: Book signing with Dr. Cynthia Bulik, and Mirror Pictures! FREE Food! LIVE Music! Prizes! Come to the Pit at 5:30pm for free food, games, giveaways and activities hosted by peers and experts in nutrition, eating disorders, body image, and self-esteem. Participate in the Great Jeans Giveaway to enter our prize raffle. At 6pm in the student bookstore, meet world-renowned eating disorders expert Cynthia Bulik, listen to excerpts from her book, The Woman in the Mirror , engage in invigorating discussion facilitated by Dr. Bulik, have your book signed and take your picture with The Mirror! Stay from 7-7:30pm for live music and continued festivities as we announce raffle winners. “Bury” your negative body attitudes at the tombstones in Lenoir and Ram’s Head dining and contribute positive affirmations on the mirrors at the SRC. Even if you can’t attend any of these events, you can still take a moment to learn a little bit about eating disorders. 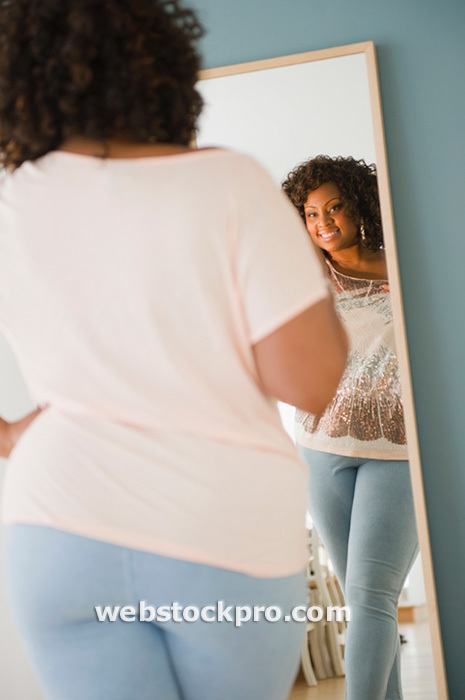 Can you have an eating disorder and be overweight? How is bulimia different from binge eating? Find answers to these questions on this NEDA factsheet and visit www.nationaleatingdisorders.org for even more information! We’re pumped about the week’s events, and we hope you will take part in NEDAWeek at UNC.